Tobago Island: A Paradise on Earth! If there is a paradise on earth is this: Tobago island! It is located in the southern Caribbean, northeast of the island of Trinidad and southeast of Grenada. Geographically little but precious, surrounded by an evergreen forest, house to rare and unique mammals, birds and lizards. The 8 miles width and 26 miles length are enough to pack forested bays, dramatic inlets, long beaches, fishing villages, highway hamlets, rainforests, mountains, sheltered coves and dramatic peninsulas. 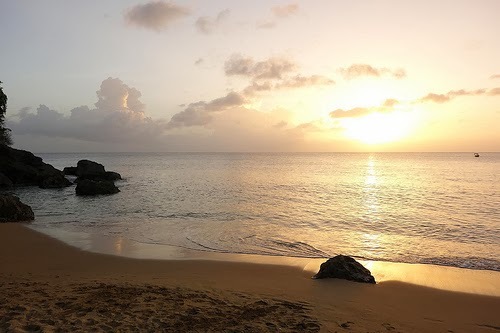 This Tobago island one of the most astonishing islands of Caribbean, popular for its social calendar, the variety of activities you can do and the places to explore. 1. Tobago Jazz Experience attracts music fans around the world and the likes of Emile Sande, Stevie Wonder, Dionne Warwick and Sting. If you want to chill out under the stars, Mount Irvine is the blissful venue for Jazz on the beach. 2. The World's 1st Eco Project "Main Ridge Forest Reserve" which came into effect in 1776 houses approximately 12 to 16 species of mammals out of the nearly 90 mammal species in the Caribbean region, 24 non-poisonous snakes, 16 rare lizards and 210 species of unique bird. The protection of Tobago is of Universal value, recognized by UNESCO. 3. 5 Forested Bays. Englishman's bay is a combination of white sandy beaches and lonely palm trees. Bloody Bay got its name from a fight between British, French and Dutch forces in the early 1800's and according the legend the sand ran red. 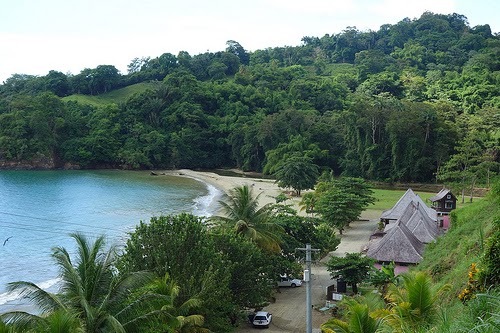 Today is a peaceful place to free your mind of thoughts and let imagination flow.Parlatuvier Bay is a quiet fishing cove where the clusters of coconut palms provide their shade ideal for relaxing under. Batteaux Bay has wonderful views out to Goat Island and Little Tobago. Starwood Bay is a secret beautiful spot . 4. What Togago means? Christopher Colombus called it Belaforma because of its beauty from a distance, British, French and Dutch called it Tobago because it is cigar shaped. 5. Tobago island is divers' dream where you can come face to face with the most rare and outstanding sea creatures. If you are a master in fishing then the Game Fishing Tournament is held in Charlotteville annually. 6. Tobago's Blue Food Festival taking place at Bloody Bar Village is unique. There you can taste delicious Dasheen that turns blue when cook it, dasheen curry, lasagne and pizza. Note that they include iguana in the menu! 7. Robinso Crusoe led his lonely life on Tobago and proof to that are the descriptions given years ago by the 20th century A.Hyatt Verrill. Tobago is the island of inspiration. 8. The Tobago Cycling classic, a 5 day tour attracts top riders from almost 20 countries. They also have the Buccoo goat race, however this is for locals. Tobago island attracts many tourists every year. Its residents speak Tobagan. Tobago is the place where the most rare things in the world happen.